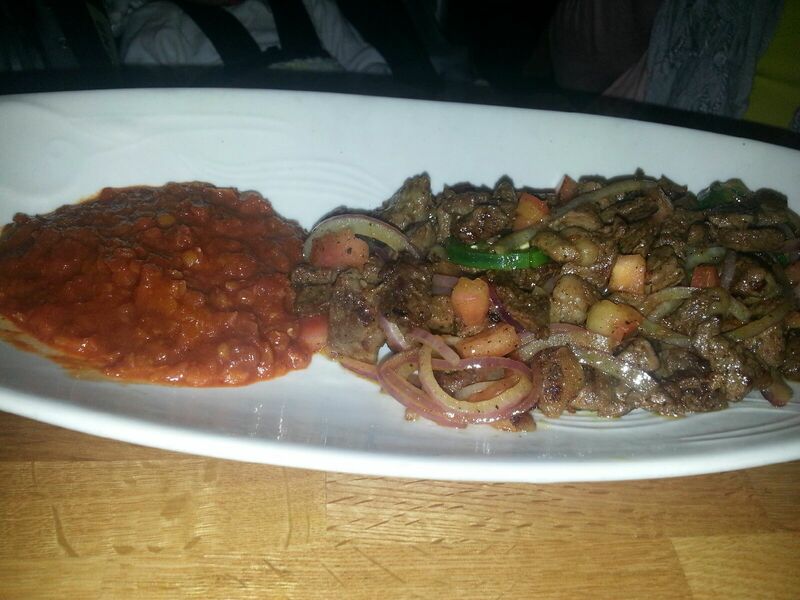 About seven years ago, I used to think that Ethiopian food was only for vegetarians. After writing an article on Ethiopian cuisine (during my freelance writing days in college) and trying different dishes with Ethiopian classmates and friends, this hearty and spice filled food cannot be limited to vegetarians. 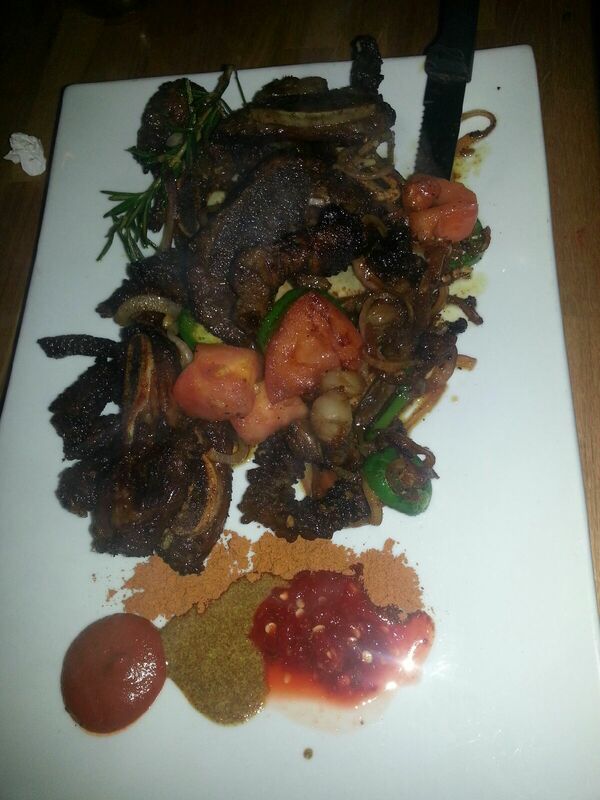 In fact, most of the dishes I order include lamb, fish, or beef! 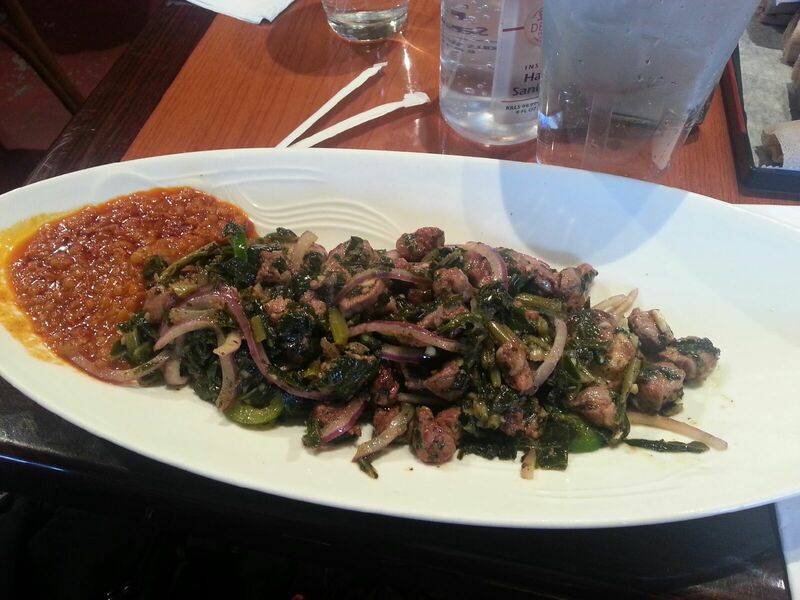 When taking first-timers, my favorite spot in Atlanta to take them is Desta Ethiopian Kitchen just off of Clairmont Rd. It’s authentic, served individually for those who aren’t comfortable sharing family style, and provide eating utensils (if you prefer those over eating with your hands). The menu is great at explaining what everything is with a key/dictionary for common food terms (Tibs, shiro, firfir, gomen, ater etc.) and includes substitution options for those who may prefer other sides instead of the traditional injera. 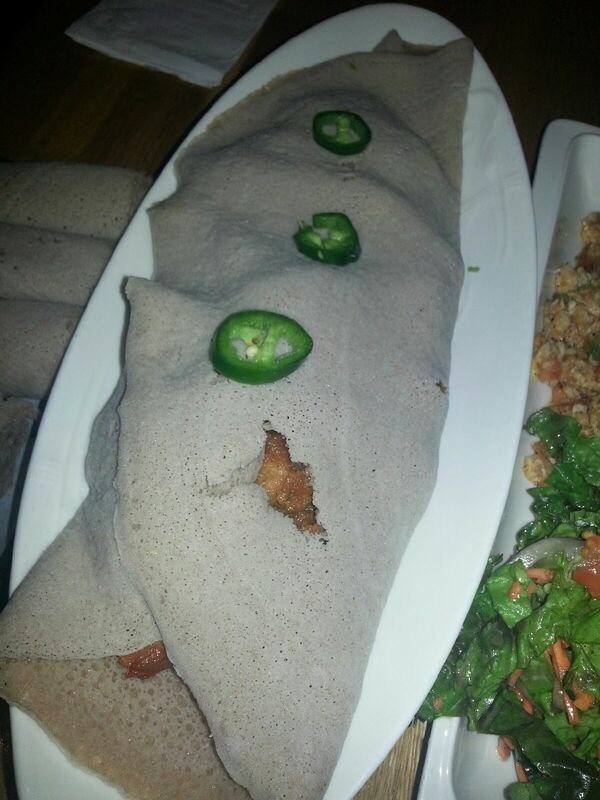 Injera in Ethiopian cuisine is equivalent to rice for asian dishes. It’s served with everything and goes with everything. It’s often described as “spongy sour bread” known for its great absorbency, but with the flexibility of a tortilla. In some dishes, such as fit fit or fir fir (which literally means broken), the injera is cooked as part of the entree with the meat and seasonings. 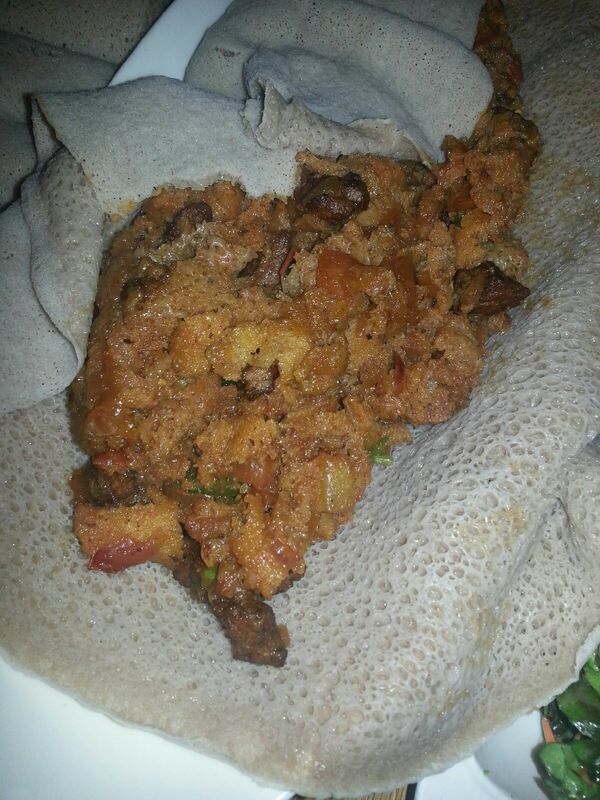 This dish is named as so because the injera is broken into smaller pieces and mixed with the sauce and spices. 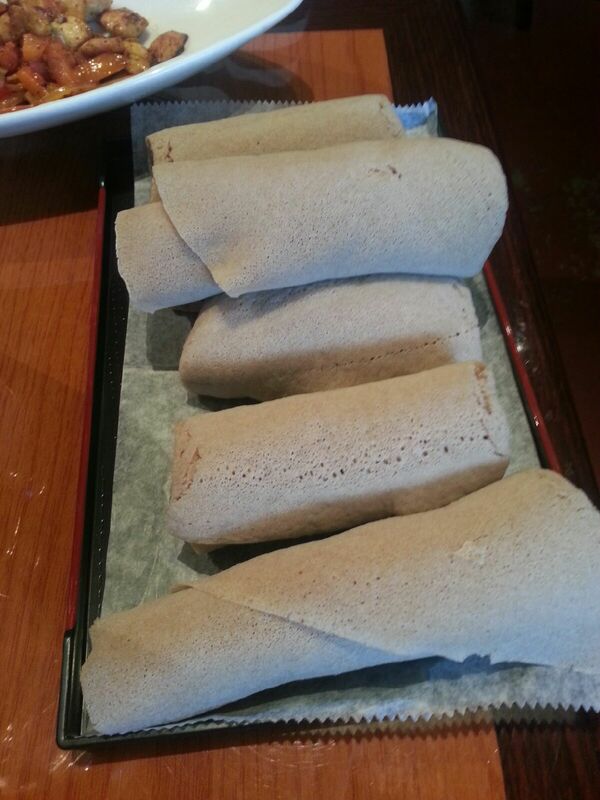 When eating in the traditional style with your hands, medium-sized pieces of injera are torn from the rolled injera and are used to grab or pick up other food. This allows the injera to soak up the flavor and prevents the sauce and spices from getting all over your hands. And even if you do get a little messy, the way I tend to get, there’s hand sanitizer at every table along with wet naps that they provide with the check. 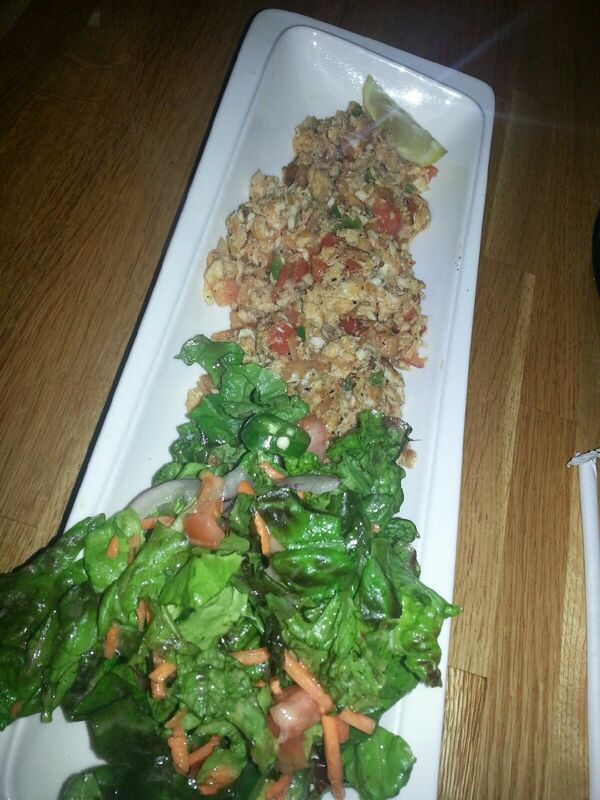 I usually skip over the appetizers and order straight for the entrees. I’ve been to Desta quite a few times with different groups of people, but my favorites have been the fish, lamb and ribeye. The BF loves the ribeye or goden tibs (served on a sizzling plate), my father and a few friends prefer the fish tibs (with tilapia) or the fish dulet when they want something lighter and I usually end up with a lamb or fish entree. I can’t speak to the sandwiches or pasta because I am usually looking for a hearty meal, but I’ve heard everything on the menu is pretty great. While I typically order water or mango juice, some of my other favorite drinks for special occasions are tej (honey wine), tella (beer) or their famous coffee. They also serve a variety of desserts, but I usually don’t have any room in my stomach for anything else. 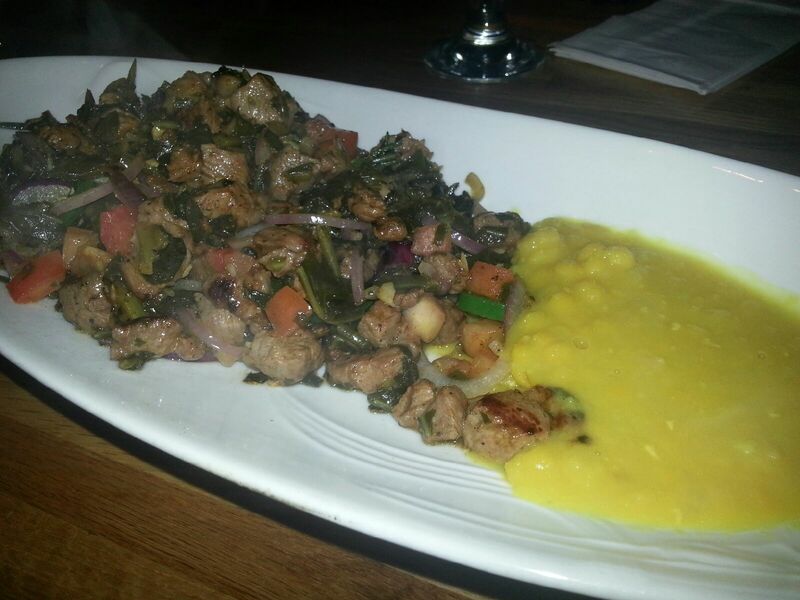 Do you have a favorite Ethiopian dish? Let me know and I’d love to check it out!